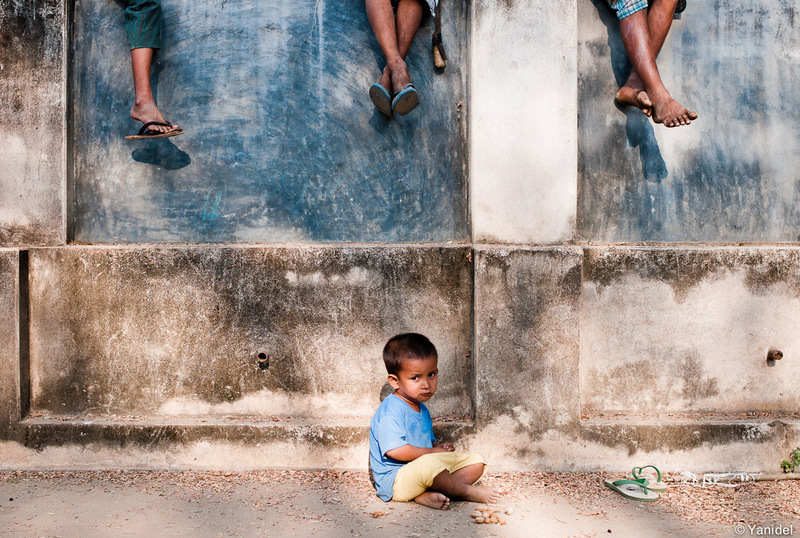 Traveling to Myanmar to shoot street photography is a once in a life time opportunity. Not that you won’t be able to return, but the odds that the country will have changed drastically by then are very high. 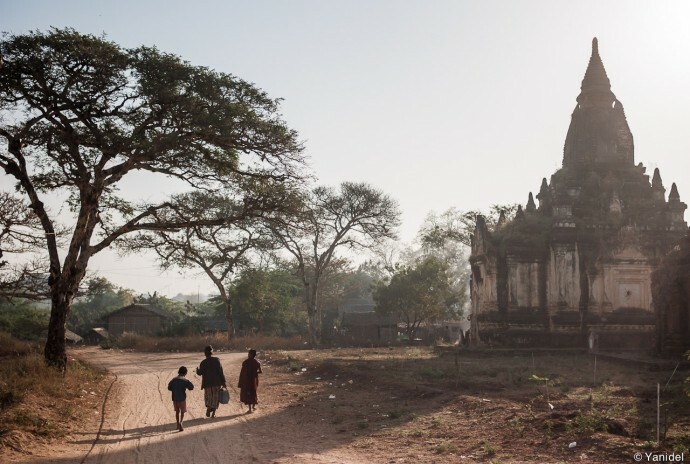 Indeed, Myanmar is one of the few places on earth where the lifestyle hasn’t evolved much over the last century. Local traditions and culture are still deeply rooted in everyday’s life, and the influence of the Western world is still moderate. Moreover, Myanmar has gone through a huge boom in tourism during the last couple of years and if the trend goes on, the main destinations will inevitably lose a lot of their current attractiveness. For these reasons, I recommend that you visit as soon as you can if Myanmar is one of your dream destinations for photograph. 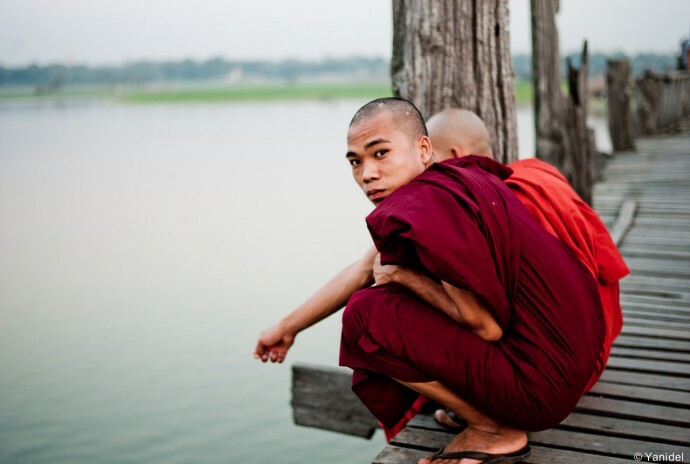 The following sections consist of a set of tips on shooting street photography in Myanmar, as well as general travel information. 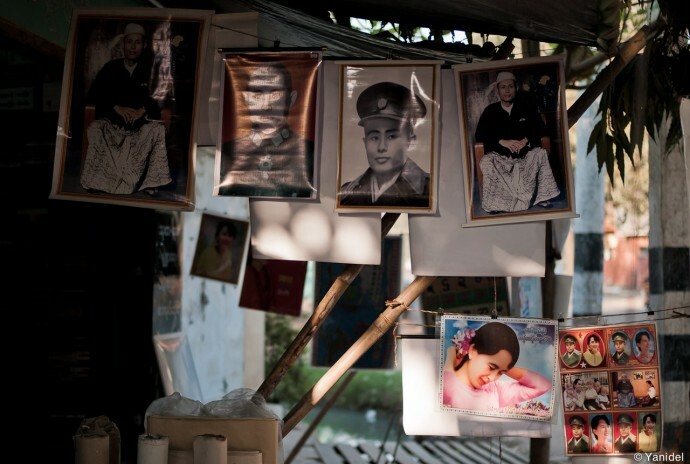 It is no secret that Myanmar is governed by a military dictatorship. And a very tough one since it had no afterthoughts to kill monks and civilians during the 2007 uprise. Therefore, some of you will confront a moral dilemma whether to travel to Myanmar is correct or not. On one side, some of your money is inevitably going to end up in the government’s pockets and therefore help to finance its continuity. Yet, most of your money will go the population, be in the form of merchants, taxi drivers, hotel keepers or restaurants. Myanmar is one of the poorest country in the world and tourism does help improve the condition of many people. Your presence also will somehow help Burma residents to keep connected to the rest of the world and not be forgotten. Note finally, that there has been some progress towards democracy as of late, and we did witness some authorized street demonstrations in favor of Nobel Peace Prize winner Aung San Suu Kyi. In the end, the moral dilemma is a personal thing and the final choice will obviously yours. You are not free to go anywhere you please in Myanmar. Most of the country is actually closed to foreigners, especially when you travel by road. And if you do try to go to some of the prohibited areas, road checkpoints will undoubtedly bring you back in the right direction. You can apply for a special permit to visit, but the road to success might result long and pretty aleatory. For these reasons, most tourists converge to the mainland itinerary of Yangon – Bagan – Mandalay – Lake Inle. No worries though, this will occupy you for two or three weeks and you could easily plan a few extra days at the beach or visiting some more remote areas by plane. Finally, I’ll advice you not to go on a package tour if street photography is your main objective. Yes, it is nice to have everything prepared for you and stay in nice hotels, but you’ll miss on the most important, which is interacting with locals. Package tours tend to put you in isolated hotels, far from action, and the tight schedules will have you hop in and off your bus most of the day. Can one shoot street photography in these conditions ? Obviously not, so travel with locals, suffer in the back of pick-up and go to budget hotels. You’ll get a much better feel of the country this way. You’ll also be able to wander aimlessly as much as you want, and whenever you wish. No, though you can obviously spend thousands of dollars if going on a luxury package trip. If staying in budget hotels, traveling by bus, and eating in small restaurants, expect to spend about $25 per day per person. If you prefer to fly inernally between destinations and stay in mid range hotels, your daily expenses will be about $40 per person. So overall, Myanmar is a cheap destination, especially when taking into account the value you get for your money. Probably one of the safest place on earth. Any attempt to rob or attack tourists is strongly punished by the military authorities, you can pretty much wander anywhere without any risks. Obviously, walking drunk at 4am in a back street of Yangon is never recommended, but is it anywhere in the world ? I’ll also mention that I never felt the presence of the military regime in Myanmar, nor were we asked for our passports or whereabouts in a single instance. It doesn’t mean that you have to be naive about it, the secret police is always there watching, but as long as you behave as a simple tourist, you’ll be left in peace. I’d just advice to not engage in unlawful activities (drugs, political activism, …) or photograph military locations because Myanmar being a dictatorship, the odds that your destiny will be determined arbitrarly by the mood of a high ranked official are pretty high. Everything will attract you attention as you exit Yangon’s airport. Men still wear the longyi (a dress that acts as pants) and women dress with sumptuous Indian style saris. You’ll see many faces covered with the traditional Thanaka, a cream that protects from sunburns. As for the city itself, its intense life on the street and overall state of deterioration makes it an amazing (maybe not for locals) setting for street photography. 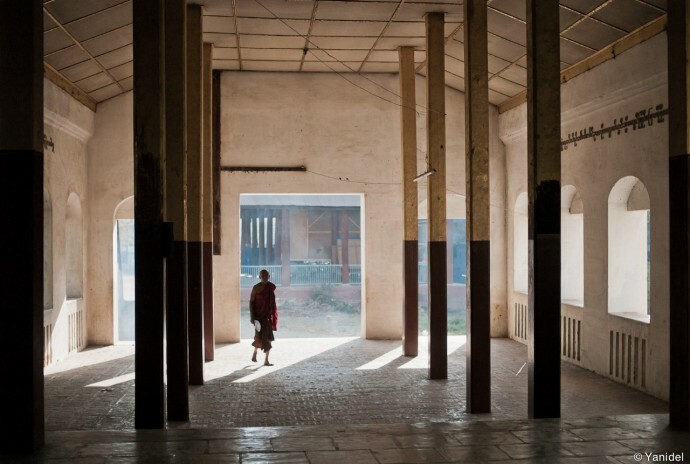 Mandalay, the second largest city in Burma, will give you a similar environment, yet the concentration of monasteries being very high there, you’ll have a lot of opportunities to include monks in your shots. As for the other principal destinations (Lake Inle, Bagan), you’ll see more the country side of Myanmar. Most people there live off agriculture or fishing which willprovide an inexhaustible source of pictures. Get out of the main streets and tourist attractions. 99% of tourists never wander out of the beaten trails though it is where you’ll get a real feel of the locals’ way of life. It is even more true in Myanmar since you’ll find humble farmers settlements just next to main roads filled with travel agencies and restaurants. Monasteries, temples, markets and train stations are great interior alternatives for street photography when tired to walk around. – Myanmar people get up early and by 7am, the activity is already intense. – Sun rises just before 7am (in February) so you will be able to play with the first rays of sun and the growing street activity. – You’ll beat the tourists to the main attraction points. There is nothing worse than a local market full of tourists taking pictures. If you get there at 7am, only locals will be engaged in trade and souvenir sellers won’t even be there. Same applies to temples and monasteries, the last thing you want is pictures full of backpacks in the background. Once you are done, you’ll probably be back to the hotel before noon. Have lunch, take a siesta, then hit the street again at 5pm. It is simply too hot to be outside during the afternoon and the light will be too harsh. Nevertheless, if you want to keep shooting, head to a train station or monastery, you’ll always find good scenes in their interiors. What about the people ? Shooting in Myanmar is refreshing since I did not get a single negative reaction during our stay. Most people actually like to be photographed and love to have a peep at your LCD screen. Like elsewhere, a minority of people did not seem happy about it yet I think nobody dares to challenge a foreigner in fear of being punished by the police. So be respectful when you seem to annoy and move on to another scene. Same applies to “poverty shots” as you’ll see some people live in extreme meagerness. Yes, some situations are very photogenic but think about human dignity before you click. On the same topic, some people (especially kids) will ask you for money to be pictured. I know it is not an easy one, but it is in my opinion preferable refuse. By giving money, you make sure the kid will keep doing it and won’t spend much time in school. Indeed, some parents are unscrupulous and prefer an extra income than a future for their kids. Finally, it is not easy to interact with Burmese people as few speak English. Yet just selling hello in their language usually will get you a smile and I guess this is a good start. 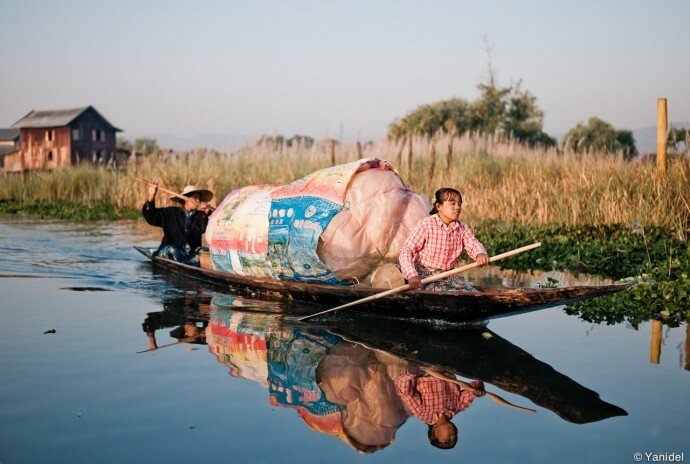 – see the sunrise in the middle of Lake Inle (hire a speedboat early in the morning) and head straight to the village of Inthein. 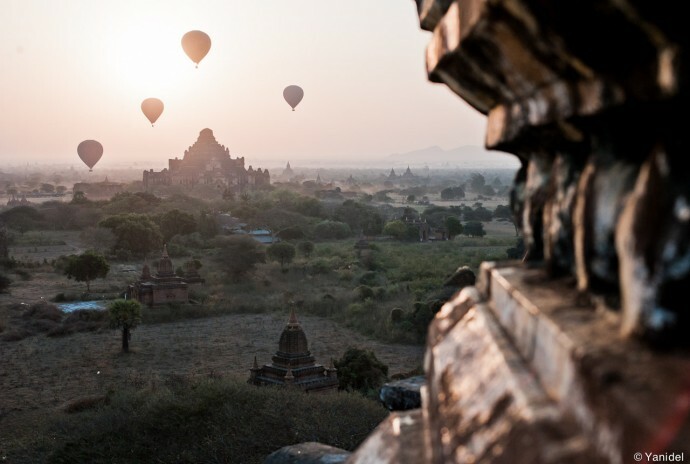 – sunset and sunrise on one of Bagan’s thousands of temples. – Myanmar requires a visa to enter. In some countries, it can take up to a month to get it, so plan in time. – there are no ATM in Myanmar and credit cards are not accepted (except some very high end hotels). Take dollars (euros will do) to cover the total amount of your planned expenses. Note that only new state bills are accepted by banks, so if your notes have been folded, have marks or slightly torn, they will be rejected. – buses get freezing cold at night due to the aircon, take a jacket or very warm sweater for your trip. Earplugs are a good option too, unless you can handle hours of non stop loud Burmese movies and concerts. It’s simple, Myanmar is by far my most enjoyable street photography experience I have had during our round the world trip. It was two intense weeks where I really made the most of my shooting time. The impact of a rapidly growing tourism industry was still limited but expect that to worsen significantly in the next few years. If you are looking for an out of the ordinary shooting experience, I definitely recommend Myanmar. Not only it is full of interesting characters, but the cultural experience is amazing. This being said, you’ll have to do an extra effort to be fully experience the Burmese way of life, so stay out of high end luxury trips. Your backpack will be your best friend. To conclude, I’d like to address my special thanks to Michael Bialecki (link to his interview here). He was a huge factor in the success of this trip. Not only did he helped us get the visa quickly, but all his tips (which are also part of this article) resulted spot on. 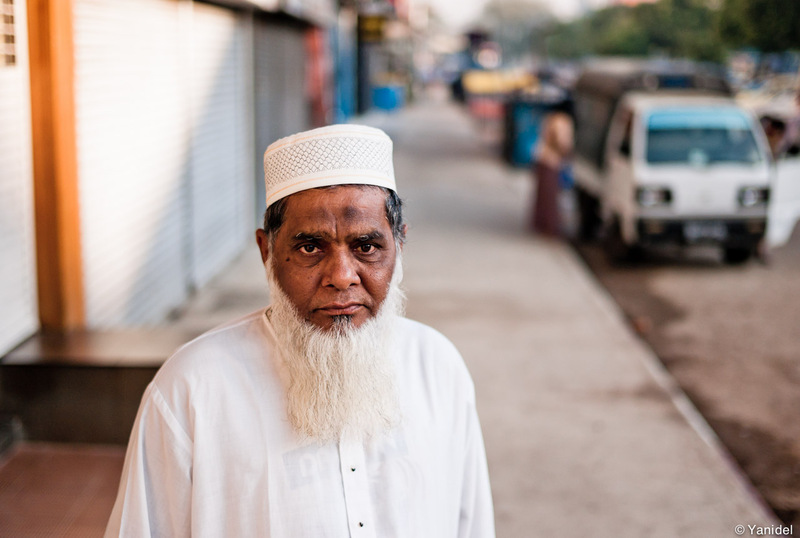 All pictures taken with Leica M8 and 35mm Lux Asph. Yanick, Congrats ! Beautiful shots and you almost convinced me to change my next holidays destination ! Bon vent ! Thank you for taking the time to post such detailed and fascinating article!!! La prise avec les jambes pendouillant est superbe. Excellent article, I almost wish you wrote for every country ! I haven't had the time to put into viewing your pictures they deserved recently. But damn "Not ready for the big leagues – Bagan" just stoped me. . . Thanks a lot Eero to keep on coming back. And thanks for the comparison to McCurry, I am flattered though I still have a lot to learn. I’ll make a book, yet since I find my output way better in Myanmar and India, maybe it will be dedicated to these countries only. I don’t know, still have to think about it. Following your Paris blog, and now your travels around the world, I never stop to admire your keen eye. This talent for observation that you have is extremely inspiring. Salut, je passe au dessus des détails téchniques mais la photo avec l'enfant et les pieds de ces camarades sur le muret, je la trouve magnifique les couleurs, l'encadrement et le " protagoniste" parfait. Ensuite celle du bâteau avec la roue et le temple superbe aussi. Et une mention spéciale à la dernière série de photos pour t'être, semble t'il, aventurer dans l'Inde véritable, celle qui te procure cette sensation étrange de "joie et fierté misérable". C'est très ambigu ! Mais c'est bien de photographier cette réalité. Moi j'avais fais cette photo du laveur de linge à Leh et bien c'est l'une des seules que j'ai toujours gardée accrochée dans mes différents apparts. Elle me parle beaucoup, cette homme et sa fierté mélancolique! Attention l'Inde laisse des traces ! I stubbled over your blog while doing research…. we are going to Myanamar end of Novemeber 2012 – holiday of a lifetime. As a BA (Hons) student of photography I was interested in your ideas for shots many thanks I will have a go. Thanks also for your tips and hints it is always good to get inside experience. Contrary to your trip though we are going high end..!!! on the boat "Road to Mandalay" up the Ayeyarwady River but that should also give me some interesting different viewpoints to add to the excursions they have planned. Well you'll enjoy the trip and going high end is definitely great too. Just try to get up extra early and it the ground before every body else to shoot. Really, my #1 advise for Myanmar. Yangon hotel prices have gone 50%+ up in the last 6 months, and maybe 20%+ in the rest of the country. So, while still relatively cheap by EU/US/Australian standards it's much more expensive than Laos, Cambodia or Vietnam. I expect this demand/supply to be compensated in a few months. The country is now wired. It's still slow (i.e. don't plan on downloading movies or something) but good enough to upload pictures. Tons of cafe's and malls have open wifi's and most hotels are wired. Foreigners who work here have told me it has also been an overnight thing. The rest of your advice is as usual spot on! Hi, I don’t know what is the law in that respect. But they never checked anyways. I think you should be fine with two cameras, don’t worry. 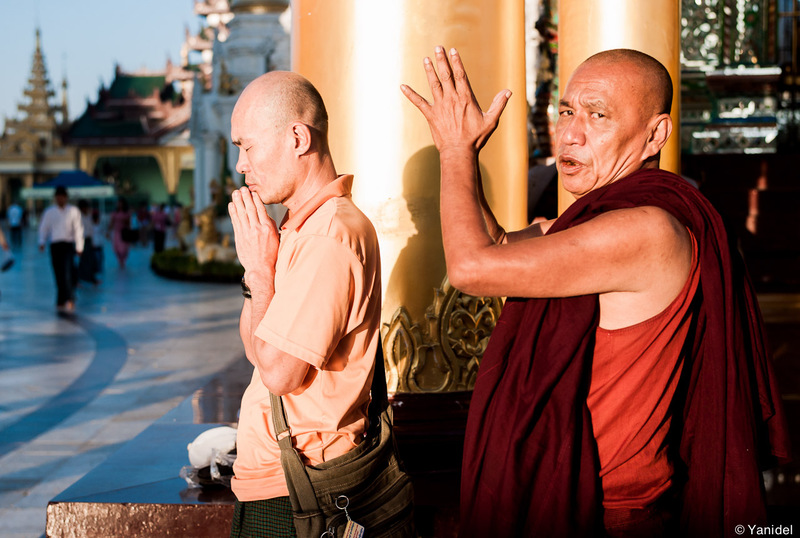 We are seasoned travellers and will be heading to Myanmar in July-August 2014 for 28 days. I do not take a tripod on holidays but will this time. What do you think of a tourist carrying a camera bag with tripod strapped to it. I have always considered it a beacon for theift. We will be travelling independently. Hi Gerard, when we visited, Myanmar was one of the safest place on earth. I would not worry too much about theft. Just be cautious like you would be in any place. Thanks for this post. Good read indeed. Photos are awesome. 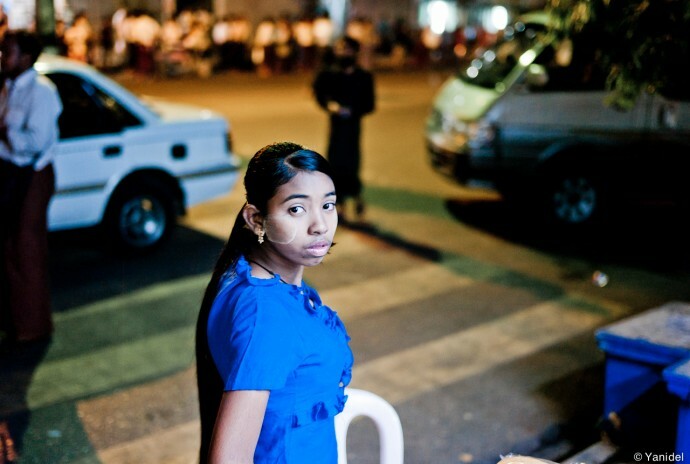 I have 14 days to spend in myanmar and I love street photography. Do you think that the usual : bagan, yangoon, mandalay , inlake lake is enough to cover 14 days ? Also any recs for more “off track” stuff in those places ? It’s surprising that you guys find my country fascinating this much. I really appreciate it and want to invite you guys again to my country as it’s now more peaceful and no more dictatorship. Come enjoy the each and every scene of it guys. And thank you for making this article, Yanidel. We are writing from the most established travel agency with head office in Vietnam and branch office in New Port beach – California and operation office in Yangon. We are thinking of designing a street food tour in Yangon. Can you please share us more information about your background ? Hi! Thanks for a great articel and photos! I have a 4 hour stop-over at the airport in Yangon from 4 to 8 PM on the 23rd January. I would like to explore the opportunities of a short visit to a local market or similar that could be good for taking photographs. I bring my pro camera and are mostly interested in local life, people, colorful settings, etc. Do you have any suggestions? I was thinking of a pickup at the airport, go to a suitable location in the area, stay there for one hour and then go back to the airport. Looking forward to hear from you. Thank you o much for your article, it was very useful. 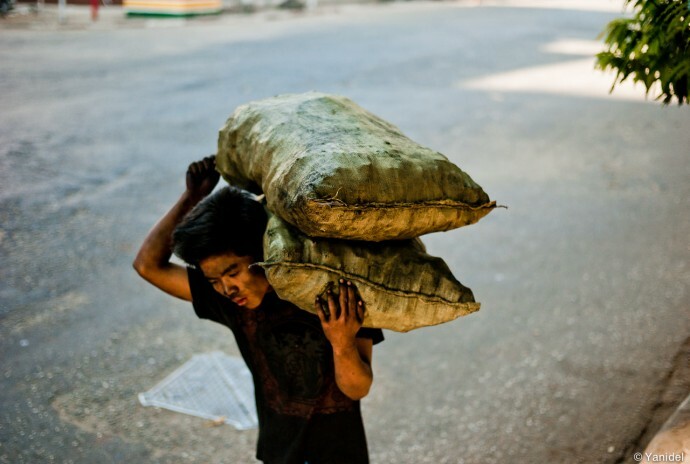 I am going to Myanmar in March for just over two weeks and am trying to organise it myself. I am a big street photographer so don’t want to do the whole guided tour piece but I am struggling to plan a route. 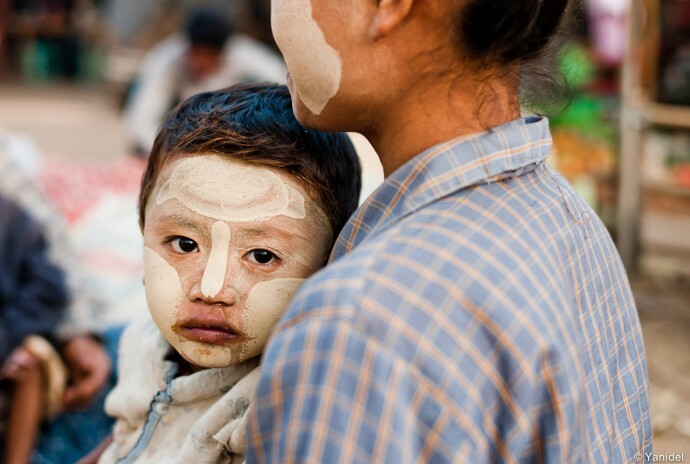 I would really like to visit some hill tribe markets and villages. Can you give me any idea for a slightly less touristy itinary.